This weekend is looking full of some pretty great events! 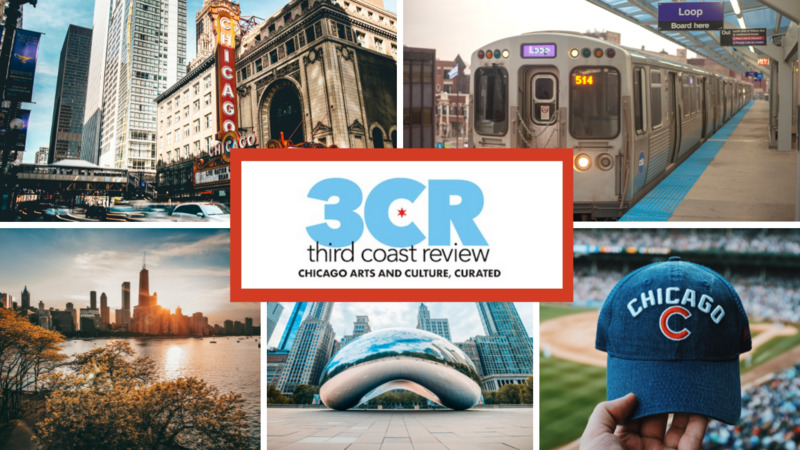 It’s overflowing with concerts, reading, and unique events that make Chicago such a great city to live in. So whether you decide to take in a movie at the Music Box (Wonder Woman in 70mm! Fifth Element!) or pick an event from below, you are assured to have a great time! SO WHAT: This is the second year of the re-imagining of Downtown Sound and Made in Chicago: World Class Jazz series. Merging them together has created a very eclectic set of musical experiences. This year’s exciting lineup continues to take cues from both internationally known performers to local artists that are more than worthy of such an impressive spotlight. This night of the series will see Senegalese singer Youssou N’Dour and the neo-soul/funk of Bassel & The Supernaturals taking over Millennium Park. NOW WHAT: All shows in this series are free and will start at 6:30 p.m. rain or shine. WHAT: Three Chicago bands in one night! SO WHAT: What to dive into the Chicago Music scene? Then this is a pretty good night as three wonderful local bans are coming to Schubas for a night of indie pop that will leave you a devoted fan. Varsity will be headlining the night with their vibrant tunes, Joe Bordenaro + The Late Bloomers’ jangly rock will keep the night going, and Mia Joy‘s dreamy and fuzzy shoegaze-esque sound will start things off right! NOW WHAT: Tickets are only $10, $12 at the door for this 18+ night! SO WHAT: The Chicago Hot Dog Fest celebrates the all the possibilities that a hot dog can experience. Chicago’s great hot dog vendors will offer both traditional and new takes on the standard encased meat. You can enjoy some cold beverages to wash down all the amazing hot-dog-themed food while going around and enjoying the rest of the festivities. There will also be plenty of games and a stage to hear great music including Yoko and the Oh No’s, Funkadesi, a Prince tribute by Robert Cornelius & Friends, and many more! NOW WHAT: Admission to the festival is free! Food and drink are available for purchase using Hot Dog Dollars! SO WHAT: See Japanese arts and crafts by four master craftspersons flown in from Tokyo to demonstrate their unique work. Other exhibits and booths will feature Japanese artwork, tshirts, kimonos and jewelry. Traditional Japanese cuisine will be offered, including grilled chicken teriyaki dinner, udon, sushi, Spam musubi, edamame, grilled corn and, for dessert, kintoki, a snow cone topped with sweet azuki. Japanese beer and other drinks will be available. Stage performances will include taiko drumming, aikido and judo, kendo and a ukulele group. The chapel will be open for people who want to learn the basics of Buddhism. SO WHAT: Since 2004, musician/artist/historian Plastic Crimewave aka Steve Krakow (of too many bands to list) has curated the celebrated Million Tongues Festival, which typically includes international folk, experimental, psychedelic, and underground musical artists. Million Tongues has gone through many iterations, sometimes spanned over several days at the Bottle to one-night only events. In celebration of the Bottle’s 25th anniversary, the two-day summer festival is reborn, featuring many alumni who don’t appear live often these days. The lineup for this edition includes Heron Oblivion, ONO, Itasca, Narita of High Rise (w/ members of OGOD (Over-Gain Optimal Death) and Babylon), Charalambides, Mark Fosson, Fursaxa, Spires That in the Sunset Rise, Ryley Walker, and Daniel Davies Hands of Hydra! NOW WHAT: Tickets are $12 per night or $20 for a two day pass! Friday tickets are here, and Saturday tickets are here! SO WHAT: Sauced is back with new summer night market at a brand new location. They’ll be taking over House of Vans, sincerely the coolest new venue in Chicago, with 50 local food and retail vendors, a live art instillation, plus a few new surprises. SO WHAT: Ron Funches is stand up comedian with an unique delivery and lovable demeanor reminiscent of big stuffed bear. Seriously, he’s easy going and has inventive style that will having you rolling. Whether he is doing voice-overs for Bojack Horseman & Bob’s Burgers or live action acting in shows like Powerless and Undateable, Funches is hilarious and this show is a must see! SO WHAT: Marika Hackman‘s songwriting has taken a turn. The last time she was in town with Laura Marling, Hackman was creating intricate folk songs full of dark and biting lyrics. Now she’s added a sense of britpop to her folk style and it’s a match made in heaven. Her songs are fuller and brighter, but still remember their wonderfully dark beginnings. Joining her will be the boisterous sounds of fellow UK band The Big Moon! NOW WHAT: Tickets for this show are $12! WHAT: Another year of this indie gaming jam! SO WHAT: Bit Bash is an indie video gaming fest that lets lesser known games find their audience in an amazing setting. This year, Bit Bash will turn into a Summer Camp and let attendees experience over 40 indie games from all over the world. They’ll also have an assortment of interactive art installations, local food and music to make the event all the more inviting! Check out Marielle Shaw’s full preview of the event! NOW WHAT: Tickets for this great gaming event are $30! Go and game campers! SO WHAT: Join Belt Publishing in celebrating the release of Rust Belt Chicago, a collection of essays, journalism, poetry, and fiction edited by Martha Bayne. The pieces in this collection tell the vibrant and culturally rich history of our great city, all together singing a forlorn love song to a place similarly marked, if less evident, by deindustrialization and economic decline as Rust Belt sister cities. There will be brief readings by Britt Julious, Kathleen Rooney, Paul Durica, Rob Miller, Kevin Coval, Rayshauna Gray, Zoe Zolbrod, David Isaacson, and Yana Kunichoff, plus a DJ set by Jake Austen. NOW WHAT: This event is free and open to the public, so go and enjoy some great readings! Giveaway: North Coast Music Festival 2017!